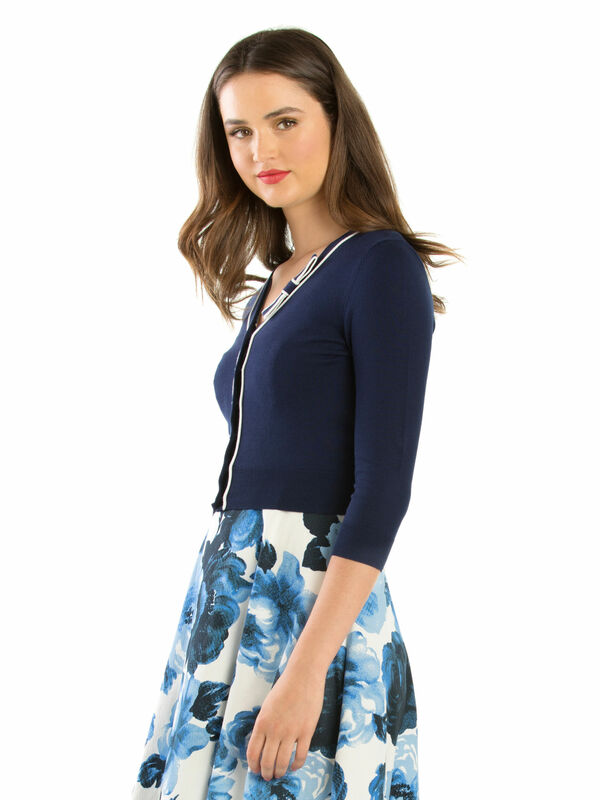 Chequers Cardi https://www.review-australia.com/asia/chequers--cardi-navy-cream/RE19KW072.RENVY005.html A must-have piece for dressing up or down, the Chequers Cardi in Navy is perfect for adding a chic touch to your favourite dress. 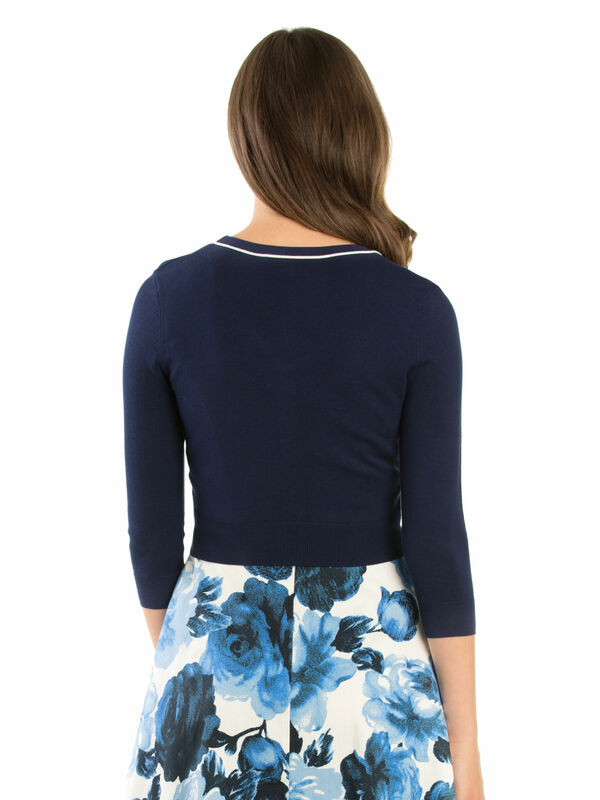 It has a slightly cropped design with ribbed cuffs and hemline for a fitted finish, navy and white bow detail, 3/4 length sleeves, and pearl shaped buttons for a seamless look. A must-have piece for dressing up or down, the Chequers Cardi in Navy is perfect for adding a chic touch to your favourite dress. 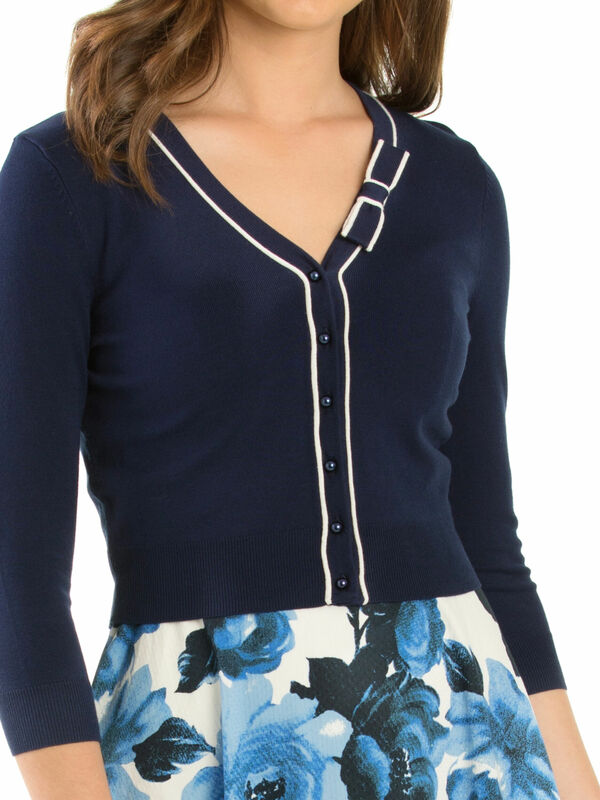 It has a slightly cropped design with ribbed cuffs and hemline for a fitted finish, navy and white bow detail, 3/4 length sleeves, and pearl shaped buttons for a seamless look.